Solid Snake's got to be over 50 now right? Nintendo has announced its plans to make its Nintendo 3DS handheld console more attractive to family audiences, with games that appeal to older gamers and more casual players. Targeting non-core gamers was a strategy that worked wonderfully well with the Nintendo Wii, and the 3DS could certainly do with a similar boost. Nintendo has already been forced to cut the price of the 3DS dramatically after sales dropped off a cliff, but it is hoping that it can give the handheld a major boost. "In terms of other genres, absolutely we will continue to push the envelope with new, unique, differentiated experiences that you can only get on the Nintendo 3DS and that widen the consumer demographic," said US Nintendo boss Reggie Fils-Aime. "So, will there be content to appeal to consumers 50 plus the way Brain Age did? Absolutely. Will there be content that's going to appeal to women the way we are able to do with the DS? Absolutely. "I can't go into the details of what exactly those titles will be, but stay tuned. There is information that we'll be sharing prior to E3, plus a lot of information at E3 as well." 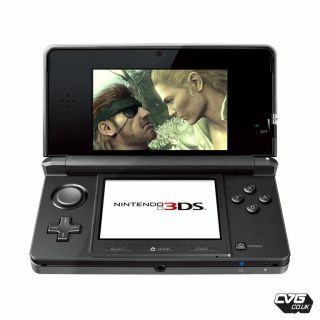 Of course, 2012 will be a key year for the 3DS, with the arrival of Sony's PlayStation Vita bringing some high profile competition.